Google‘s CEO Eric Schmidt thinks that soon his company will resolve its differences with the Chinese government over their ongoing operations in the censor-happy nation. Google‘s CEO Eric Schmidt thinks that soon his company will resolve its differences with the Chinese government over their ongoing operations in the censor-happy nation. Is he right? Or merely hopelessly optimistic? Schmidt was questioned during an informal briefing at a conference yesterday, joined during the interview by Google founders Sergey Brin and Larry Page. Because the spat with China has been long-running and vicious in some cases, and recently came to a head when the Chinese authorities threatened to revoke Google’s national operating license if the search giant didn’t turn off its automated re-directs to Hong Kong servers and start censoring its search results. Google has tried to find another work-around to avoid censorship, and now the multinational giant and the national government are in another phase of their stand-off. For Schmidt to believe the operating license will indeed be renewed is a frank dismissal of the Chinese government’s influence over them. Or does Schmidt know something we don’t? During the interview he noted that Google has “deals with almost every [content] person” in China, presumably covering the gamut from TV to movies to music. 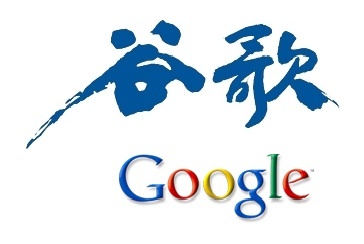 Chinese businesses are waking up to the opportunities that Google’s content sharing services like YouTube can offer. Systems like Google Docs and Gmail have also found favor among China’s scientific community. Perhaps Schmidt is banking on internal pressure from well-placed Chinese businesspeople. Indeed censorship of some events in recent years that demonstrate this truth actually lie at the heart of the Google-China stand-off: “Tianenman Square massacre” is a banned phrase. So is Schmidt trying to pull off an elaborate pseudo-political PR trick, or is he actually confident–perhaps via leaked info from inside China–that Google’s latest side-step around Chinese censorship rules will get the thumbs-up, and Google will get its new license? Given China’s famously red tape-tangled bureaucracy, an answer may not be immediate. Update: According to a Reuters report, the Chinese government has actually today renewed the license for Google’s operations in the country. This means Google’s search engines can run in China, with a single-click trick meaning its visitors still get routed through Hong Kong’s uncensored servers. What’s going on? Should we be optimistic that China’s taking a renewed stance on censorship? Or concerned what concessions Schmidt had to make? Time will tell.